Electronic devices have become an inevitable part of our lives. We often find ourselves using one or more such device at one time and depend on them for various reasons. These devices usually run out of battery and we look out for an immediate power source. Imagine two or more devices getting discharged at the same time. Which device will you plug in first and will it affect your productivity? If the answer is a big yes then we have something for you. Power strips are the electronic strips of various power sockets arranged in a linear manner attached to a single main plug. They are commonly known as extensions and saves us from a lot of hustle-bustle. With the introduction of power strips managing workstation and restoring efficiency has been made possible. Power strips are largely used to supply a power source to multiple electric devices at one time. At Huntkey, we house various kinds of high-end electric products and a wide range of power strips. 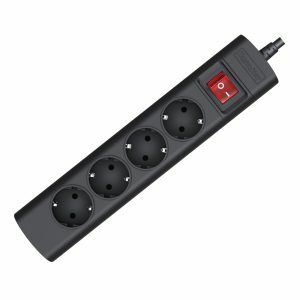 We have german standard power strips which are not only efficient but are high in quality. 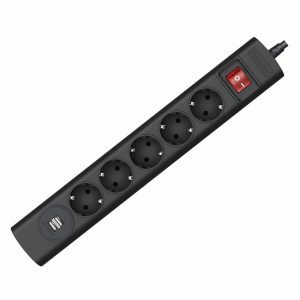 German power strip comes in a wide range and you can choose the best at Huntkey. 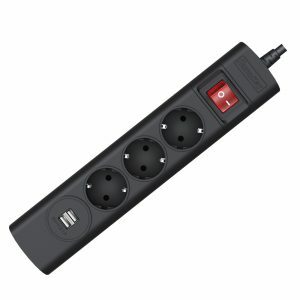 Our collection of the German power strip is huge and can meet varied needs and requirements. 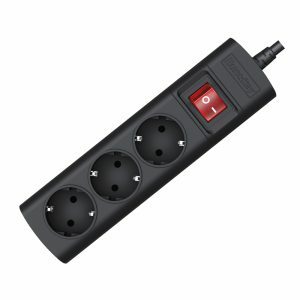 They come in multiple sockets ranging from three to six slots. Huntkey’s SGA601 is equipped with 6 European standard power outlets and has double break safety switch making it a safe product. It has a copper bar and a flame retardant material making it a perfect household and commercial product. Its child protective shutters make its kid-friendly and a perfect pick! We have an extensive range of products with features that you just can’t resist. Visit our website for more products.